MediaFunnel’s ski resort marketing solution provides a way for your resort to engage skiers, capture data for future marketing touches, and leverage your mountain resort’s guests comments for authentic, real time marketing content. With MediaFunnel’s Guest Posting feature, guests can be instructed to SMS text feedback about conditions or anything else about their ski day or ski vacation. 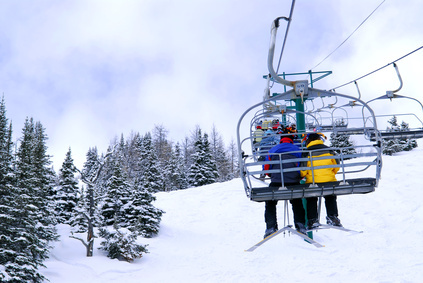 Since many skiers and riders already text while on the chairlift and at other points between runs, this approach provides an opportunity for your ski resort to obtain guests’ mobile numbers and to gather real time social media marketing content directly from skiers and riders. Still catching freshies on Sundown after 2pm! 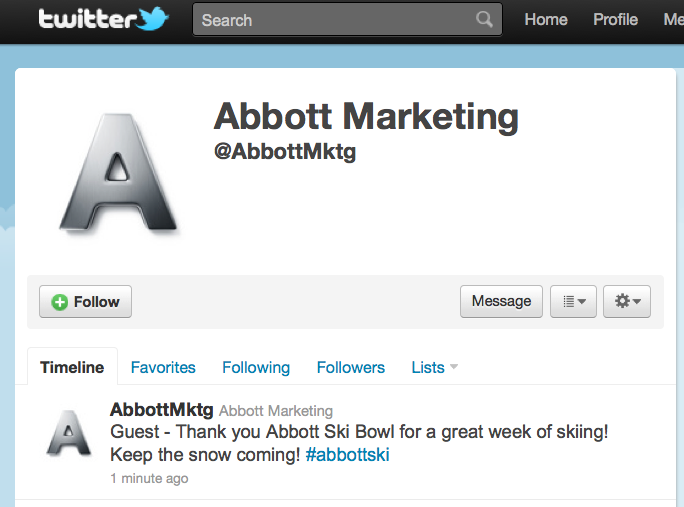 for a chance to win a free lift ticket voucher for the 2011 season. Guest Posts can also be replied to individually, as in the case of a customer service issue that should be handled real-time. Specific Guest Posts can be published to a social media channel on Twitter or Facebook — all posts can have a pre-defined prefix and suffix (such as your resort’s hashtag) automatically added to the content. If a skier’s Guest Post represents valuable promotional content for your resort, it can easily be published from MediaFunnel through to one of your Twitter profiles or to your Facebook Page. 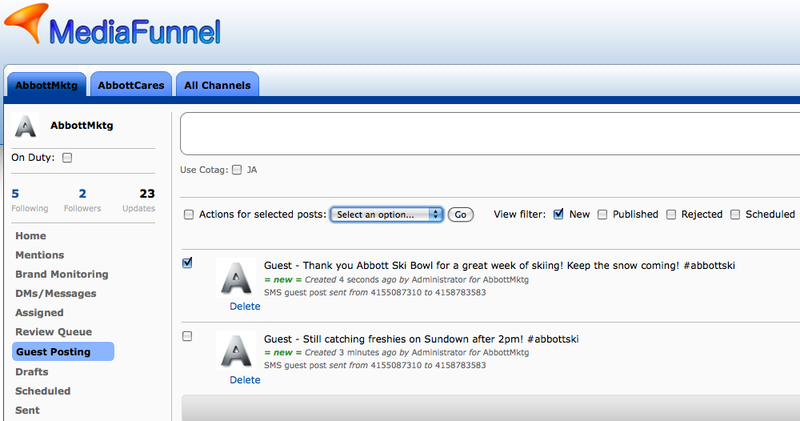 Skiers’ real time content becomes your mountain’s real time content on social media channels. To see how MediaFunnel works first hand, please sign up for the Free Plan (max. two users and two social media channels) or for a 30 day trial of the Standard Plan. MediaFunnel’s Standard Plan, which includes Brand Monitoring, is free for the trial period and only a few dollars per month thereafter. An SMS long code number does need to be purchased with either plan, even during the Standard Plan trial period (only $2.95 per month). A block of 100 SMS credits also needs to be purchased (only $5.95). MediaFunnel will make your ski resort marketing even more real time and will create a brand new channel for guest engagement.